Active family fun is hard to find nowadays. Getting kids outdoors is even harder. So, you should start them young. We make it a point to get the whole family to visit Chase Meadows Farm once or twice a year. It is great opportunity for young and old to get a little exercise, enjoy some family time and breathe some fresh farm air. With ponies to feed carrots, horses to ride, lessons to take and trails to explore, there is no excuse for boredom. You can’t get a more picturesque spot for family photos than beautiful North Salem, New York. 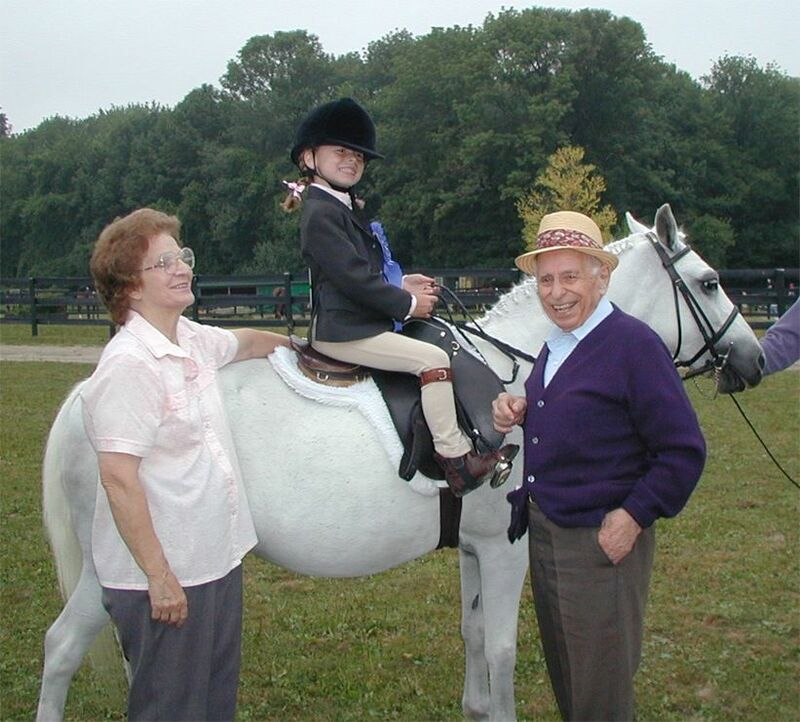 One of my all-time favorites photos is of my oldest daughter at age 6 with her great-grandparents. The smiles say it all. I miss my grandparents now that they both have passed but these family memories will live on for both me and my daughter. This entry was tagged family fun, horse farm. Bookmark the permalink.